Are you planning a vacation to Scotland? Finding the best Bed and Breakfast homes has never been easier. But don’t worry you are now sorted, this site is the best aid when you want to find your taste and preference of either a high castle, city cottage or any other guesthouses around Scotland. We provide you with the various B&B’s locations, the price for the bookings, their star rating, their reviews, the services they offer and many more. 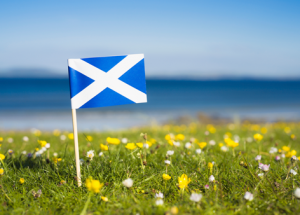 If planning a trip to Scotland, you can now narrow down your option by following our updates as we guarantee you the best, detailed information on Bed and Breakfast homes in Scotland. Scotland is renowned with magnificent guest houses that can cater for your entire family or friends, most guestrooms are situated around beautiful sceneries, and the hosts are very welcoming. We give you a glimpse of what to expect when you choose your favourite destination. Be it a castle, rural cottages; you will now be able to budget for your trip as we are providing the pricing for the most quality Bed and Breakfast homes. Whether you are looking for a cozy king-size bed, best catering services assured breakfast, a serene environment, don’t worry you are now covered. We guarantee you every little detail of the B&B in Scotland where you will have the unforgettable moment in your life. From eating that Scottish breakfast of your fantasy to having a comfortable sleep in a place you might call home. Don’t be left behind let us be your tour guide for your vacation to Scotland.